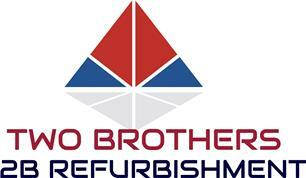 We are Two Brothers Refurbishment (2B Refurbishment). We have built our reputation for over a decade and at this stage we are recommended by being a very reputable company association like Checkatrade.com. We also we have excellent customer care skills, great interpretation of a client’s needs and the ability to give advice and expand on ideas. We always ensure that the customers property is respected at all times and left clean and tidy. The ability to read plans and understand technical drawing, communication skills to convey ideas to clients and other trades people, problem-solving skills, knowledge of safety procedures and first aid. Also, we are a great team with a good experience on their back. We have done many jobs, working very hard to get many positive and great recommendations, so if you are thinking in starting your own domestic or commercial project improvement, then please do not hesitate to contact us, we will be only too happy to help. Our services focus on full refurbishment and internal renovations or reconfigurations. Our entire team is committed to meeting your every need.